OnePlus has confirmed that the upcoming OnePlus 6T will feature an in-display fingerprint scanner. The official statement came from the smartphone manufacturer itself after a retail box of the OnePlus 6T had leaked online. This will add to the many firsts the device will hold for OnePlus including the partnership with T-Mobile which will make it widely available in the USA. The erstwhile leaks gave us some idea about the features that the smartphone might have. 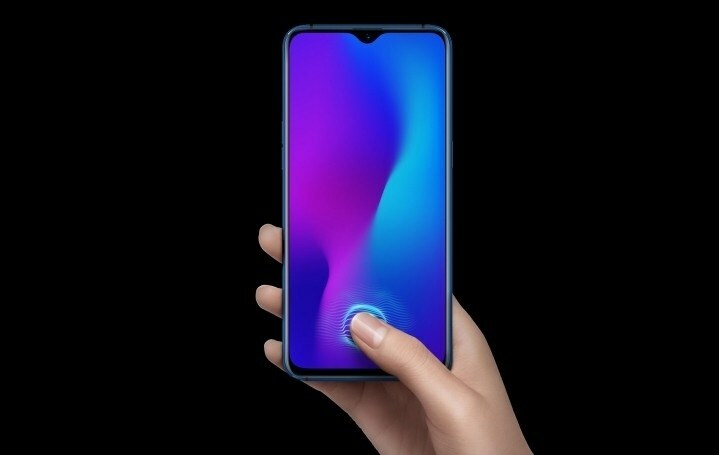 The device may feature a tiny waterdrop-like notch, slim bezels and an in-display fingerprint sensor. Now, amidst these leaks, OnePlus has confirmed that its next smartphone will have an in-display fingerprint sensor. OnePlus calls it “Screen Unlock”. This new feature will completely eliminate the need of rear fingerprint sensor. OnePlus said that the technology will help reduce the steps included in unlocking the smartphone screens. OnePlus further added that by integrating features like Face Unlock, users will now be able to unlock the display in a way that is most efficient for them. Now that the in-display fingerprint sensor has been confirmed by the company itself, it is one feature we can be sure about. Because of the additional in-display fingerprint sensor, the OnePlus 6T may get thicker than its predecessor OnePlus 6. Looking at the previously leaked render, it is safe to say that the phone will emulate the Oppo R17 and Oppo R17 Pro to a large extent. Thus, we can speculate that the OnePlus 6T might get an 8GB RAM and 6.4 inch FHD+ screen. Other rumours say that the smartphone will include triple rear-cameras and may get a price tag of $550. A screenshot of the OnePlus 6T lockscreen featuring the in-display fingerprint render reveals that the OnePlus 6T might get launched on October 17 this year. The in-display fingerprint feature is already available in a few Vivo phones and in the Huawei Mate RS. And more and more smartphones are jumping on the in-display fingerprint bandwagon these days.